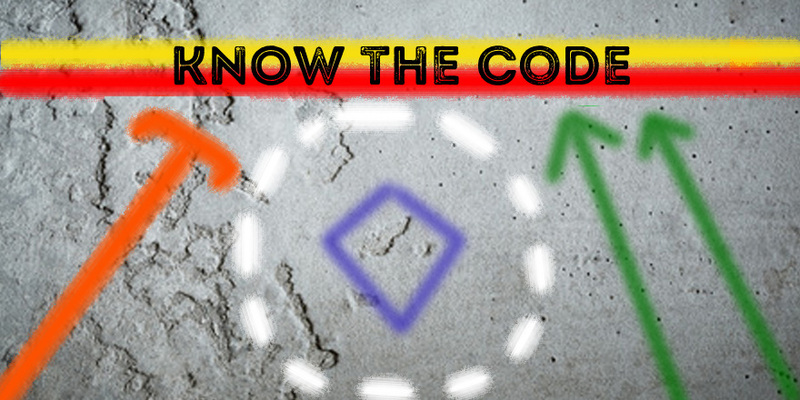 What Do Utility Codes and Colours Mean? Utility markings are a deliberate communication of what ground disturbers can expect to find below the surface as well as the intended excavation area. This standardized method of safety colours and symbols has been adopted by all utilities across North America to warn of potential hazards. Each utility, represented by its own colour will spray paint lines to indicate the location of a pipe, cable or conduit. In the case of multiple conduits in a corridor, lines are painted on the outer edges then joined with a perpendicular line form an H. Diamond shapes indicate ducts, arrows are used to point the direction and termination points are blunted at the end of the line. Splices, valves and manholes are marked with a circle and “X” in the centre. Details such as distance and lettering can also be found offering additional information. The depth of the utility isn’t provided, but the locator will provide as much detail as they suspect is available.